The principle objective of this report is to analysis Identification and Merchandising Activities of Bata Shoe Company (Bangladesh) Limited. Other objectives of this reports are to identify the challenges and shortcomings in the implementation of merchandising strategy in this sector and find some effective guidelines in configuring their innovation scheme for their competitive advantage. Finally describe the merchandising strategy and compare to other companies, to find out gap of Bata shoe merchandising and to draw a competition analysis in the industries and Bata. The T.&A. Bata Shoe Company is registered in Zlin, Czechoslovakia by the siblings Tomáš, Anna and Antonín Bata. Innovative from the beginning it departs from century old traditions of the one-man cobblers’ workshop. Antonin leaves the Company to join the army, his sister Anna follows shortly after to get married. Tomas Bata takes over the company leadership alone. Tomas introduces the ”Batovka”, the first fabric shoe and with it production mechanization. First export sales and first sales agencies in Germany, in the Balkans and in the Middle East. Bata shoes are of excellent quality and are available in more styles than had ever been offered before. Demand grows rapidly. Sales reach 2 million pairs per year produced by 5000 employees. Advanced production equipment is imported. As the Company prospers so do the communities where it operates. Bata creates stores, builds housing, schools and hospitals near factories. Following the first world war currencies are devalued and consumer purchasing power is at an all time low. Bata cuts shoe prices by 50%; stores are flooded with customers forcing the industry to follow the lead. The “Bata system” organizes operations in autonomous workshops with employee profit sharing introduced since 1923. Each one in the company is an entrepreneur. The Bata School of Work founded. It provides rigorous education and practical training to future Bata managers. Introduction of customs tariffs. 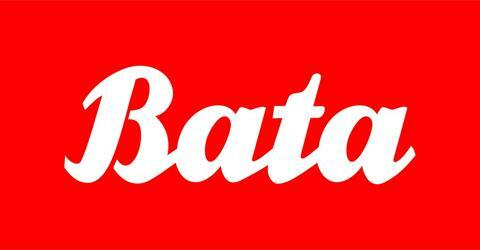 Bata responds by building factories in Swiss, Germany, England, France, Yugoslavia, Poland, Holland, the USA and India. By the early 1930s, Bata is the world’s leading footwear exporter. At the time of Tomas Bata’s tragic death in a plane crash the company intensifies diversification into the production of tires, aircrafts, bicycles, machineries. Still a young man, Thomas J Bata, is son, convenes the 1st international congress of young Bata people. Bata operates 63 companies in various industries but footwear remains the core business with 60 million pairs sold per year in more than 30 countries. Part of the Company management under the leadership of Thomas J. Bata starts to operate from Batawa, near Toronto, Canada. All Bata companies in Eastern European countries are nationalized by communist governments. The Company starts rebuilding itself from the remaining entities located outside Eastern Europe. The Company’s headquarters are officially relocated in Toronto under the leadership of Thomas J Bata. The Company expands its international reach through new factories serving local markets. Private labels are created to be marketed to new customer segments: Bubblegummers, Power, Marie Claire, North Star. Retail excellence is becoming even more important. Bata develops a variety of retail concepts such as Bata city stores, large format stores and sport concept stores. Following the political changes the Bata Company is invited to return to the Czech Republic where the Company remains a symbol of national pride and achievement. Creativity, product innovation and research for higher quality levels lie at the core of Bata product development policy. The result is the international high standard Bata Premium collection. Partnerships develop in Eastern Europe. Bata stores reopen in Russia, Poland, Croatia, Slovenia. To adjust to the market evolution Bata undertakes a major reorientation from manufacturing to designing, marketing and distribution. Thomas G Bata, founder’s grandson becomes the Group’s chairman. A new international structure is implemented around 4 meaningful business units (MBUs) to give more focus to the business and gain synergies within each region, especially in sourcing and product development. As part of re-inventing its core competencies, Bata Shoe innovation Centres open around the world to focus on the development of shoes with exclusive comfort technology features and designs. New steps in China with the opening of the Bata procurement centre in Guanzhou and a distribution partnership for the opening of Bata retail stores. Bata has a worldwide reach, with operations across 5 continents managed by 4 regional meaningful business units (MBUs). Each unit benefits from synergies specific to their environment, such as product development, sourcing or marketing support. Each MBU is entrepreneurial in nature, and can quickly adapt to changes in the market place and seize potential growth opportunities. Bata’s strength lies in its worldwide presence. While local companies are self-governing, each one benefits from its link to the international organization for back-office systems, product innovations and sourcing. Bata Bangladesh is affiliated to the Bata Shoe Organization, the world’s largest footwear manufacturing and marketing organization. Started operation in Bangladesh in 1962, Incorporation in Bangladesh in 1972. Domestic market – under the trademarks of “Bata”, “Power”, “Weinbrenner” Bubble gummers”, and “Marie Claire”, through a countywide distribution network comprising retail stores, DSPs and independent dealers. Overseas market – under the trademarks of its customers, and also markets its own brands to sister companies and the Middle East. The objective of this paper is to highlight the practice of innovation strategy in Bata compare to shoe industry in Bangladesh. At the same time, to identify the challenges and shortcomings in the implementation of merchandising strategy in this sector. From the findings of this study, organizations in this sector will be able to find some effective guidelines in configuring their innovation scheme for their competitive advantage. Describe the merchandising strategy and compare to other companies. To find out gap of Bata shoe merchandising. To draw a competition analysis in the industries and Bata. Bata’s commitment to service continues to this day, from the designer’s sketchbook through to the performance of our shoes on a customer’s foot. Bata companies strive to supply the right products, at the right time, at the right price, and in a manner that fulfils our service commitments to both retail and wholesale customers. Bata has a truly international team whose diversity of ideas and exchange of expertise creates an environment that stimulates people to think beyond their immediate national markets. It is Bata culture to provide quality of opportunity, to promote on merit and to provide employees with on-going training opportunities to build new skills. Assignments in different operational areas or abroad are also common within the Group to enable promising individuals to gather an unusually broad set of experiences. Bata companies have a tradition of being good corporate citizens and seek to contribute to the well-being of the countries and communities where they operate. Bata strives to develop long-term partnership with its suppliers and business associates. Each Bata company around the world is committed to ensuring that operations are conducted ethically. Thinking green. It is Bata endeavor to preserve the environment. The Bata Environmental Mission Statement is: to protect our people, customers and communities and to protect our natural environment in order to help sustain human development. In the implementation of this mission, international guidelines have been developed in the areas of environment, health and safety. The efforts and achievements of Bata companies have been recognized in many countries, by both local and international bodies. The contribution to environmental conservation includes a role in prevention and education. Bata companies have long standing relationships with groups that have helped several generations of young people become more aware of the need for protection of the natural environment. With respect to retailing, it is not possible to serve all types of customer. We must instead look to satisfying certain groups of customers. This process is known as segmentation. Segmentation is the dividing of a market into subsets of customers, any one or more of which can be selected as a target market to be satisfied with a distinct retailing mix. Hence, the first and most important activity is to clearly define the company target market and its customers. This customer (hereafter referred to as customer profile) must be a true reflection of the customers we serve and plan to serve in the near future. This customer profile will be defined in the company’s main Operational and Business Plan. The customer profile will be the basis that drives all the business activities in the company. It determines the product, store design and image of our companies. How do they choose a store? Using the matrix with some of the key customer attributes will help define and recognize one or several of the company’s target markets. What are the age groups of the target segments per gender? Which types of occupation and income have they? Where are they working, living? Which products are they looking for? What price range are they willing to pay for these products? How sensitive are they to international / private branding? Are they buying different product types in different store concepts? Store image, notoriety, atmosphere, window displays? A lifestyle describes ideal patterns of the consumer’s daily lives, their choices of apparel, home décor, career, food, etc. The consumer’s personal and family values/traditions will influence their personal taste and style as well as buying preferences. Lifestyles do not change by country, and are not influenced by age or personal disposable income. Knowing about lifestyle will give retailers the edge to successfully forecast and predict purchasing patterns, recognizing consumers’ needs and developing a merchandise assortment to target their consumer segments. There are nine different lifestyle segments: Traditionalist, Neo-traditionalist, Contemporary, Minimalist, Romantic, Eco-thinker, Nomad, Show-off and Artist. Steeped in classical family values and tradition. Family, society, religion and culture are more important than, and supercede, individual personality and sense of style. Lifestyle is governed by family institution that is enduring and long-lasting. Not very interested in fashion trends and do not like to change. It is very important that their image fit the expectation of the society and family. More likely to shop around. Wait for sale before purchasing. Likes conservative and traditional colors. Attention to details such as family crests, nautical motifs, gold buttons and monograms on elegant fabrics such as wool, cashmere or velvet. Quality of life includes formal dinners (with elaborate multi-course meals), hunting, horseback riding and traveling to historical places such as museums, vineyards, etc. High value traditionalist shop for their families, so getting a good price is important because they are buying more shoes. Low value traditionalist do not buy as much for others so they are not buying as many shoes but price is still important. And generally replace items in their wardrobe as they wear out. Though they still have family values, their sense of self is more pronounced than the traditionalist. They infuse their style with their own spirit and personality. Family relationship is more relaxed compared to the traditionalist who is more rigid and hierarchy. Adopt fashion trends once they move towards the mainstream. Still like new styles, but their fashion preferences are discovered when the trend is diluted and has become mass marketed. Prefers flowing movement and tone on tone color co-ordinations. Quality of life is more comfortable and food presentations are less formal and more personal touch. Activities include sailing, tennis and golf. Travel destination may include charming old cities with cultural attractions and luxurious resorts. High value neo-traditionalists are more likely to shop for others. Low value neo-traditionalists do not have as many pairs of shoes and are less likely to shop for others. Grounded in their own values and reality. They are free thinkers and do not want fit into any established culture. Follow fashion trends and are early adopters of new styles. Clean, crisp line with minimal details in their dressing. They update their wardrobe seasonally. They like both high quality and brand names. Home is clean and uncluttered – nothing to distract. Very focus on work and career. Information seekers giving rise to the love for gadgets and electronic “toys”. Quality of life is very non-traditional in that the man could be cooking in the kitchen while the executive woman is on a business trip. Very health conscious, food is clean, fresh and simple in its presentation. Leisure activities include reading “tech” products, buying “tech” products and working out in the gym. Travel destinations are modern art museums, active resorts to indulge in scuba diving and skiing. High value contemporaries spend more than average on shoes. Low value contemporaries spend less than average on shoes. First to adopt new styles. They see styles as soon as they arrive in stores and like to update their wardrobe constantly with the latest fashion trends. They spend a lot of money on shoes and they have a large shoe inventory. Price is not very important if it means getting the shoes they want. Very focus in status and self. Having identified the different segments through gathering of information, the next step is to determine which segments to serve. Size and profit potential of the alternative segments according to the quantitative and qualitative information about the customer segments. The objective of the company. The strengths and weaknesses of the company. Evaluate the opportunities for Bata among consumers in each segment. Not all shoe retailers are our direct competitors. A regular check of the major competitors must be done daily by the Store Managers and by the District Managers, Buyers, and Merchandisers each week. This will ensure that we are aware of any major changes taking place that could give the consumer a reason to go to the competition instead of our stores. It is important for the buyers and merchandisers to have the same vision and knowledge of all the stores in the retail chain and the local markets that the stores served. Store Operations should provide a detailed profile of each store and the market environment of the store. A summary of the merchandise needs of the store in order to maximize the sales potential of each store. Both departments must be in agreement on the classification of the merchandise requirements. The following example of a company’s store configuration can be helpful to the merchandising team to ensure the correct types of merchandise are developed for each store classification and that the quantities for the different stores is in line with the stores sales estimates. Too often objectives are defined in term of sales and results while in fact they are the outcome of many interactive business decisions. From these decisions, clear objectives must be stated to ensure that the whole merchandising departments are working in the same direction. This will create a competitive edge for the company and will provide results that can exceed customer expectations. The following illustration with SWOT as its centre piece, demonstrates the complete process from objectives to satisfy our customers. Several of these activities provide an opportunity to differentiate our stores and products from the competition. For example, product offer, branding and packaging are only a few of the elements that can give us a competitive advantage in the market place. The buyer and merchandiser must understand the 3 “C” s in this marketing plan as part of their total merchandise planning. From this, we are able to develop a shoe line that will fit the company’s image, store profile and satisfy the customers that we are targeting. The combination of an effective marketing strategy and a rigorous financial logic will produce a viable and highly profitable retail organization. The following diagram illustrates the very close interdependent relationship between these variables directly affecting the company profitability. It is important to understand that a small change in one or more of these variables can greatly influence the overall performance. The shaded blocks are those which the merchandising department has the greatest influence on the results. In this section, the buyer and merchandiser will consider the various aspects of the shoe line structure and how the merchandise will be developed, so as to satisfy the following aspects. Developing a minimum of two unique collections per season. Developing a Core collection and additional collections and creating a product mix that fits our complete store portfolio. Bata operates stores in many of the world’s fashion capitals. Bata City Stores offer urban customers the best in today’s fashion footwear and accessories. These stores are in city centres’ prime locations, and provide a high level of customer service, exclusive fashion shoelines with complementary accessories, and contemporary shopping environments to discerning shoppers. Bata Superstores offer a wide assortment of fashion, casual and athletic footwear for the entire family. Located primarily in urban and suburban shopping centres, these spacious stores offer the best value by providing good quality shoes at great prices. Service is fast thanks to a self selection shopping environment with qualified staff to serve and assist. One of the cornerstones of the Bata Superstore is the sports area: a real store within a store. All the key international sports brands are featured, carefully selected for the most discerning customers. Factory stores first opened in 2003 and are the largest and the most value-oriented stores of our retail chain. They are ideally located in power centres, commercial parks and outlet centres with easy parking facilities. The product selection offers more than 10,000 styles of ladies, men, children and sport shoes with related accessories and apparel sold at attractive price points. It is based on a self service concept with helpful staff available for service at anytime. Innovation is a widely used strategy across industries in many countries. It is now at the top of the agenda of the shoe industry in Bangladesh. A great deal of experiment is going on right this moment in this industry. This paper will show how innovation strategy has been pursued by two major players, which has changed the competitive strategy of the competitors. We are familiar with the term ‘tangible goods with accompanying services’, and ‘major service with accompanying minor goods and services’ where the main focus goes on physical product and service respectively. In this study we shall see that how these concepts changes due to the innovative marketing strategy of the market players. We shall also see how the market status of the player’s changes as the strategy is implemented. Furthermore, from this study we shall learn how we can manipulate innovation strategy more effectively. The context of this study is the developing country. The role of the economy of developing countries is becoming increasingly important for the world economy. It is assumed that the findings and understanding of this research will help the organizations in developing countries to develop their effective business strategy in order to achieve sustainable competitive advantage, sustainability, and culture. The next step is to define the different collections that we wish to have in our stores to serve the total customer base we wish to serve. The core collection will go to ALL STORES in the company. This collection as developed by each buyer for their own categories, will be of a character that is important and required in every store. When grouped with the core collections of the other merchandisers categories, they are all in harmony with a particular core customers wants and desires. As there are different store profiles to serve different market segments, there is a need for different product groups as additional collections to serve these stores and their customers. Hence, the total shoe line will be made of a Core collection and several Additional collections. The Buyers will decide on the number of these Additional collections. They can define A1 and A2 as more fashionable or higher price collections. Likewise there may be several additional collections in the more basic fashion and or price sensitive articles. These could be identified as A3 and A4. The template below shows the allocation of the Product Profiles to each Store Profile, giving the buyers and merchandiser an overview as to how many lines each Store Profile will receive. In order to produce the Paper Collection to meet the stores sales potential in terms of pairs and values, it is necessary to decide on the quantity each store should receive per line. A key part of the shoe line building process is the planning of the Core and Additional Collection in terms of price points, number of lines and quantities per line / price points. The Core collection is the part of the shoe line which is given to ALL stores in order to fulfill basic target customers’ requirements and project an overall same company image. The Additional collections are developed to satisfy specific stores customers’ needs. At this point of the planning process, it is important that each buyer establishes a frame work for their collection, which will be in synch with the company marketing strategy and its budget plan. This is one of the greatest temptations that a buyer has when reviewing the different samples from various suppliers. Many of the shoes will look very interesting and could be sold in our stores. However, the point is to know when you are selecting duplicates of another article and when you are adding your collection in the sub-category. This will cause confusion in the collection when there are too many similar articles in the same Sub-category. This will cause a serious problem in that the more duplicated lines you buy, you must reduce the quantity of pairs you can have in the best sellers. The planned collection must clearly state the number of Core articles for all stores and the number of Additional articles. It is important to visualize how the collection can be properly displayed in the store windows and interior, taking into consideration the size of the store and the available space for display. You should also take into account the store concept and image of the presentation. Will the total collection be displayed with different themes or lifestyles? Each sub-category must have a meaningful range of prices for the articles in the collection. The number of different prices should reflect the type of merchandise and how wide the range is of the selection. Example: If the lowest priced article in the Sub-cat is $30.00 the highest price should not be $300.00 or more. The reason is that these two articles are not substitutable to the same customer for the same end user. The number of lines in a product group should focus on specific prices and be clearly visible to the customers why there are differences in prices in the same group of shoes. The customers should not have to ask “Why is this shoe more expensive than that one?” The price range of the collection must reflect the image of your store in the market place and the company’s objectives. For an article that has similar quality and fashion but different cost prices, you should price both at the same market acceptable price that is competitive in your market. This may mean that you reduce the price and margin of one article and increase the other. In the sourcing section of this guide, we will further discuss the advantages of working with limited number of suppliers. These points are indirectly related to the shoe line building function but will have an impact on the overall buying prices in terms of volume per supplier and dependability of quality and delivery. Article exclusivity is generally not possible when dealing with many suppliers and limited quantity ordered. You do not have enough negotiating strength or the dependability of service when you work with too many different suppliers. A key part of the shoe line building process is the selection of the Core and Additional lines. Every company’s merchandise business plan must specify how the collection is to be developed in terms of the number of lines that will be given to all stores and the additional lines are required to satisfy local market conditions for specific stores and areas. For each category, the number of lines and quantity planned to be bought per price point is considered. Obviously, the number of pairs to be bought per category and its corresponding value must be with respect to the Open-to-buy plan. Coca-Cola, Kodak and Nike are names that people around the world recognize and respect for consistency of product quality. These companies realize that the corporate brand is one of the company’s greatest assets. and store image. The buyer must have sufficient number of lines in the grouping to make a reasonable presentation but not to have an excessive number of lines that will distract from our own brands and in particular the Bata brand. The Bata brand, which has grown for more than 100 years, is one of the very few international footwear brands in the world. This asset must be protected by the highest standard of quality and value. When developing the shoe line the buyer must ensure that the Bata brand is only used on products that are in the middle to upper price range of each Sub-category or product grouping. The Bata brand must NEVER be used on the lowest priced articles of a Sub-Category. The Bata name has been and will continue to be known for products which offer above average value. This applies to high priced items, value priced items and all items in between. It applies to footwear, apparel, accessories, handbags, sundries and so on. The execution relative to the price must represent above-average value among options available to the customer. Any product which does not represent above value will not be included in the product mix offered in stores that are part of the Bata Shoe Organization. When it is considered that 60 – 80% of consumer purchase decisions are made at the store level, brand policy and product standards are as much the concern of retail personnel as of product developers, marketers and manufacturers. As part of the strategic business plan, the company will develop a promotional calendar that identifies the various events and sales actions necessary to achieve the company’s sales and profit objectives. The buyers will develop various sub-categories and themes of merchandise that will create the excitement necessary to attract the consumers’ interest and satisfy a specific need and want for the particular event. A promotional Calendar should have a innovative ideas for each season and not to repeat every year unless they are of an annual event that the consumers are waiting for. It is important to create activities that will differentiate you from your competitors. The diagram on the right illustrates 12 different strategies for planning and spending the advertising budget in the most efficient manner over a given time period depending on the desired impact. For example: the Bata promotion will be over a span of 2 weeks (concentrated) with 10 radio spots on the first day and rapidly phased down to 1 shot during the last few days (decreasing frequency) of the promotion. The strategy intermittent/increasing frequency is ideal advertising strategy while a store is being built to inform customer that the opening day is coming soon. New stores openings, renovations and closures. Planning Document #1 (PD#1) is to help the buyers plan their sales estimates for the next season. PD#1 helps the buyers to just focus on that aspect of the business while meeting margin objectives. PD#1 provides the buyers with historical results to serve as a guide when they plan their sales estimates. These historical results can either be downloaded from the RIMS system or manually key in by the buyers. The contribution % of turnover per category is calculated for the buyers’ reference as well. The keying in of net margin for Anticipate Current Season and Estimate for Next Season help to track if it is in-line with the company’s margin objectives. The net margin estimates for the next season also allows the buyer to calculate the OTB at cost value in Planning Document #2 as these two documents are interlinked. PD#1 also forces the buyers to plan their markdown objectives against the company’s benchmark. Planning Document #2 (PD#2) is to help the buyers calculate their OTB in Pairs, Retail Value and Cost Value. The opening inventory has to be estimated by taking the anticipated sales at the end of current season and the inventory on hand plus outstanding deliveries. The markdown % cannot be more than the regional benchmark of 5%. PD#3 helps the buyers to determine their estimates by weeks according to the number of stores and major events happening throughout the season. It provides a history of last year’s number of stores and events as a reference. PD#3 is linked to PD#1 in the sense that, after PD#1 determine the estimate by category, PD#3 takes that estimate to break it down by weeks. After, completing PD#3, the buyers are actually providing the estimates for the planning season’s RM827 document. The Merchandising Performance Overview is a report used by the company to control monthly performance of the retail operations at merchandise group level. This report shows for each group, the plan or estimates, last year and actual values of O.T.B., Sales, Markdowns and Sellout rate. The company manager and merchandise manager can quickly see where the sales opportunity is and where the potential dangers may be if no action is taken. With the average price for sales and stock, we can see if there is a problem in the product mix against the planned OTB average price. Also the margin on sales versus the stock margin compared to the OTB margin will indicate if the actual buying plan has been followed and if we have priced the goods at the consumer acceptable levels. Marking down a shoe that belongs to a homogeneous (can fulfill a customer end use, e.g. fashion, style, colour, material, price) group of shoes may create an unbalanced offer that confuse the customer. Thus it is important to manage a sub-category as a whole so as to make sure that the offer remains consistent at all times. Furthermore it is the buyer’s duty to turn merchandise quickly while achieving the required margin objective. During the season, the buyer and merchandiser will constantly monitor the performance of the collection to ensure that all Categories and stores are performing at the expected level. There are four methods to review the performance of similar stores to assess if an action is required in specific stores. Compare similar stores in respect to the number of lines and sales to date. Analyze the number of lines in the stores compared to the selling area of the stores. Compare similar stores average selling price against average inventory prices. Check sales to stock in terms of weeks of sales and stock turn. The best time to make a season end analysis is at the very end of the selling period. To make this job rather easy, it is suggested that you keep a weekly results calendar of events during the season and note all planned actions and those activities that were not planned. This will provide a weekly record to explain the sales results and not on your memory, what may have been the reasons for the changes in the past seasons sales different from the planned estimates. Review actual sales and stocks from previous years, not just one year. Compare the actual results against what was budgeted for the year. Determine why the actual sales were above or below the budget. Determine if there were any external market conditions that severely affected your business. Analyze the promotional calendar for that year. Was it effective? Determine if there were any one time promotional events that had a major impact on the sales and selling margin. Will these events be repeated again next season? Determine if inventory levels were appropriate. Was there a stock coverage or shortage problem? Determine if the flow of merchandise was according to plan. Did the product arrive when it was supposed to? Usually a winning product has multi dimensions so that it can serve customers from various spectrums. A product must posses three level of identities. The first level is the essence of a product—how well it satisfies the customer’s needs. The second level is the physical product, should it be a good or a service. The third level is the product’s shell. It includes all the additional products and services offered with the product to exceed customer expectations (Viardot, 2004: 155). If customer satisfaction exceeds the expectation level then the customer is delighted and only then it is possible to retain that customer. Otherwise, there is a probability of switching. Today’s consumers are becoming more aware of product value, quality and fashion than ever before. It is essential that a buyer have the latest fashions, but equally important that the merchandise is of the best quality and value available. Knowledge of the product materials and construction that will be bought and presented to our customers in the stores is a skill that every buyer must have. This is particular important in respect of pricing the product. The different materials and quality levels that may be used in a shoe are considerable. All buyers must know the basics of materials and construction. This knowledge will assist the buyer in quality upgrading of different articles while having a good appreciation of the incremental material cost innovation you have to nurture imagination to foster creativity in your organization.